Whether you are a returning patient with Dr. James Lyons, a current patient with Dr. Amir Nasir, or a new patient entirely, we welcome you to Lotus Cosmetic Surgery, where we are excited to invite you to join our family and explore how we can help you achieve your aesthetic goals! For patients hoping to contact Dr. Lyons, we regret to inform you that Dr. Lyons retired in December 2016 to pursue new opportunities in the warmth of sunny Florida. Before his retirement, however, he personally selected Dr. Amir Nasir to take over his medical practice at Lotus Cosmetic Surgery. 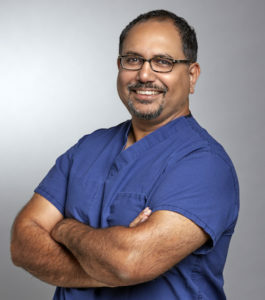 Like Dr. Lyons, Dr. Nasir is a Board certified plastic surgeon who shares Dr. Lyons’ absolute commitment to surgical excellence and dedication to a patient-first philosophy. Dr. Nasir is certified by the American Board of Plastic Surgery and completed his advanced fellowship training in Aesthetic and Reconstructive Surgery at Boston University. He is an expert in all aspects of cosmetic surgery and non-surgical rejuvenation procedures, and is especially dedicated to the special approaches required by men seeking surgical anti-aging and enhancement. He is committed to building relationships with each patient—including those seeking non-surgical rejuvenation—and believes in the critical importance of honest, clear communication between patient and practitioner. Cosmetic surgery and non-surgical rejuvenation can be an exciting, life-altering journey, and we are excited at the prospect of embarking on this journey with you! For more information about Dr. Nasir, about Lotus Cosmetic Surgery, or about our menu of surgical and non-surgical procedures, or to schedule a consultation with Dr. Nasir, we encourage you to contact our office today. We look forward to hearing from you!